Hello friends. 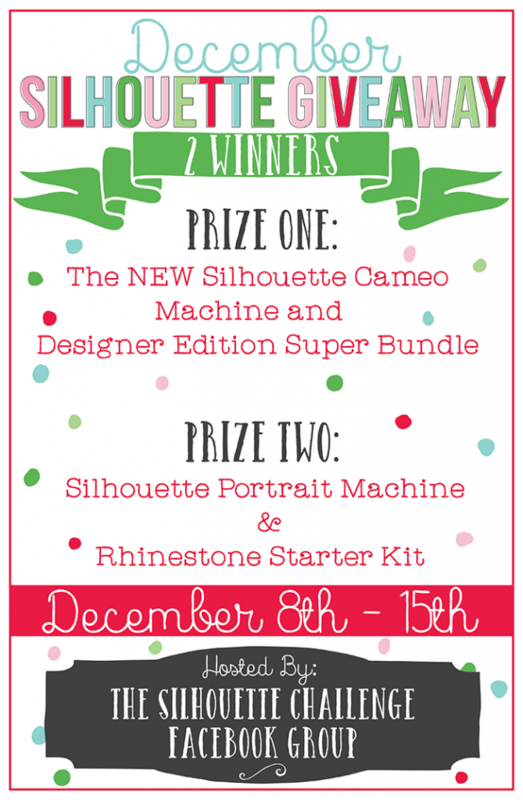 Not only do I have a fun Christmas Silhouette project for you today, but my Silhouette Challenge buddies and I have teamed up to bring you an AMAZING giveaway along with holiday Silhouette projects to inspire you. You know how much I love my Silhouette, it’s my go-to crafting tool. You can find all of my creations here. 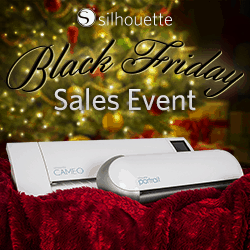 If you are inspired by this post, and I know you will be, be sure to take a look at the amazing deals going on at Silhouette America that end today (December 8, 2014). Use code RAMBLE at check out to take advantage of these deals. I played around with the Silhouette America Double Sided Adhesive Kit for his project. 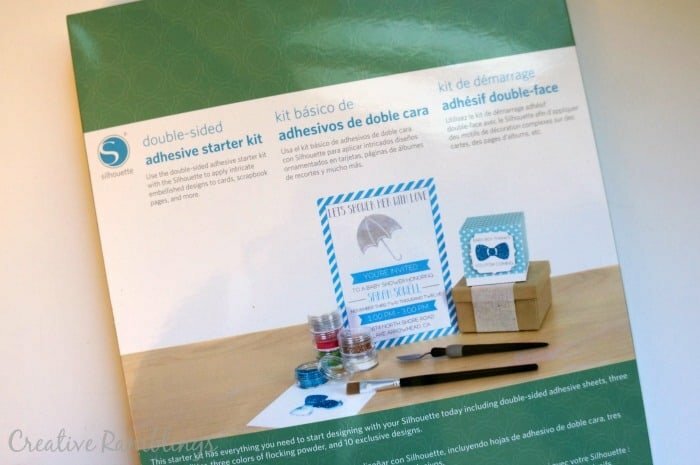 This kit includes double-sided adhesive paper, glitter, flocking powder, a couple of tools and some exclusive designs. I needed a little something for my side table this season and this kit did the trick. I came upon a couple of ornament place card holders from a store I used to work at. They were holiday props for a couple of years and we headed for the dumpster when I rescued them. I cut out 4 three inch circles from white card stock and found 4 holiday images from the Silhouette Online Store that I liked. I sized them to fit on my circles then cut them out of the adhesive. 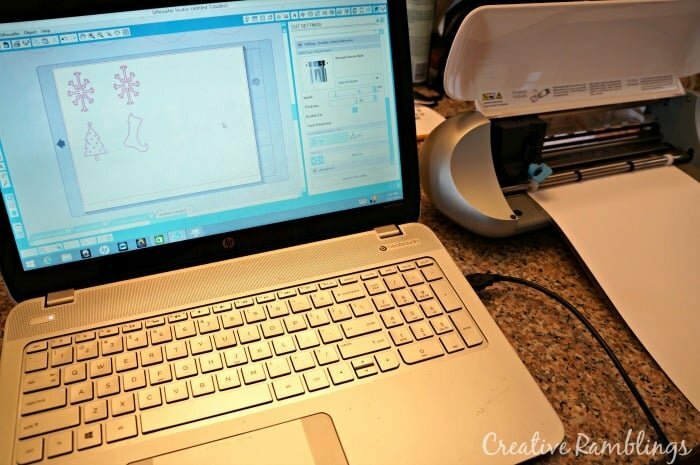 When cutting the adhesive I put it white side up on my mat and used the adhesive settings in the design studio. Once cut out I peeled the yellow backing off the adhesive and placed a design onto my circle. I smoothed it out then removed the white top sheet. I tapped a small amount of glitter onto the adhesive then shook the excess off. 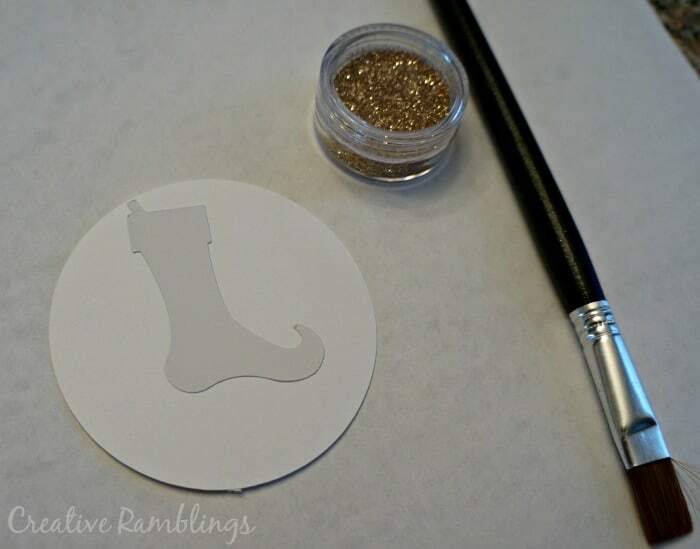 I used the small brush to clear any glitter off of the paper around the adhesive. 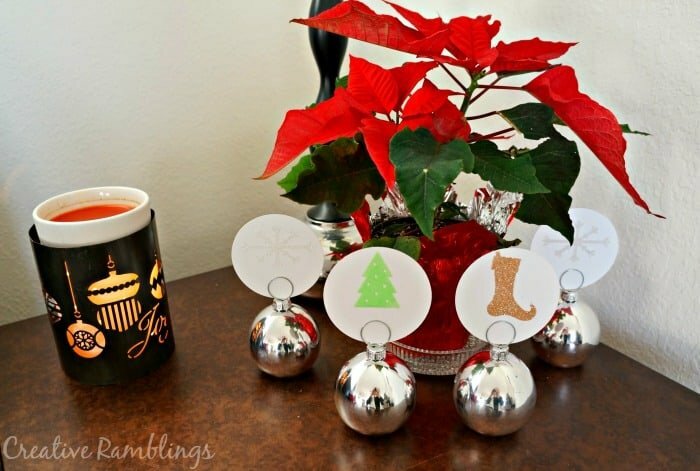 I repeated this for each design then set them up in my ornament holders. Such an easy project! Now that I am familiar with this the possibilities are endless. I am going to try this on cards and maybe a birthday banner for little lady. So this is too cute! I love it! I am going to use the Double Sided Adhesive for Valentine’s for my daughter’s preschool class. I can’t wait to use it. Oh that will be fun Carrie, thanks so much. Gotta love that double-sided adhesive with the brush-on glitter. It never fails to wow me…just like it did with your Christmas decor. Well done! Thanks so much for joining in on the December Silhouette Challenge and Giveaway, and adding so much creativity into the mix. Thanks Lauren, happy to be participating! Fantastic project, Sarah!! I have this adhesive and feeling a bit intimidated to use it… But reading your post makes me wanna try now 🙂 Thanks for the inspiration! Sarah, these are so fun! I love the bulb holders! What an exciting giveaway! I’ve always wanted a Silhouette, and there are so many great project ideas here! 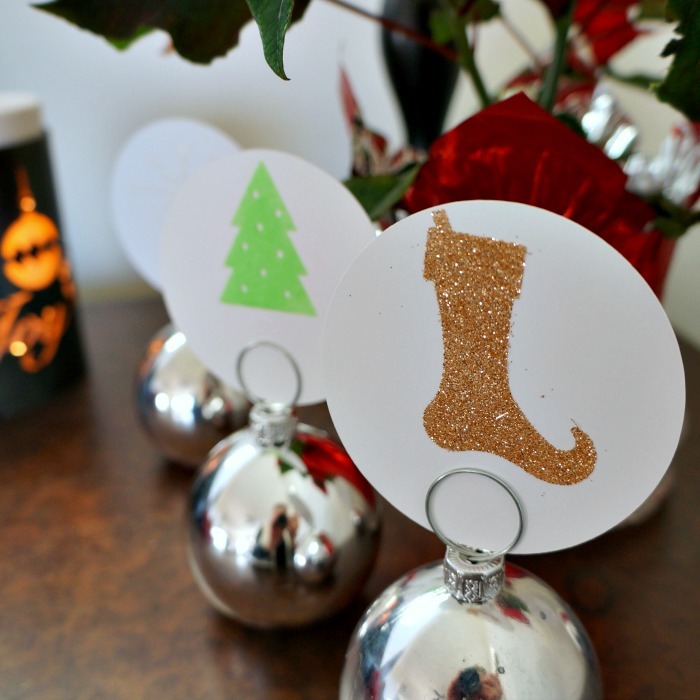 I love the ornament card-holders. So cute!